The German government is reportedly dropping Verizon Communications as a service provider because of worries about U.S. spying. The government will shift all services provided by Verizon to Deutsche Telekom by the end of 2015. It had been reviewing its communications contracts already, but concerns about possible spying by the U.S. National Security Agency helped to tip the scales against Verizon, the Wall Street Journal and other news outlets reported. Germany’s move is the latest evidence that revelations about NSA eavesdropping are damaging U.S. companies’ overseas business. Verizon provides Internet access to some German federal agencies and helps to run a network that links them, the Journal said. The government’s contracts with Verizon had been exposed recently in the media and caused an uproar because of reports of NSA eavesdropping on foreign leaders, including German Chancellor Angela Merkel. Those reports, based on information disclosed by former NSA contractor Edward Snowden, brought additional scrutiny to Verizon’s government contracts. 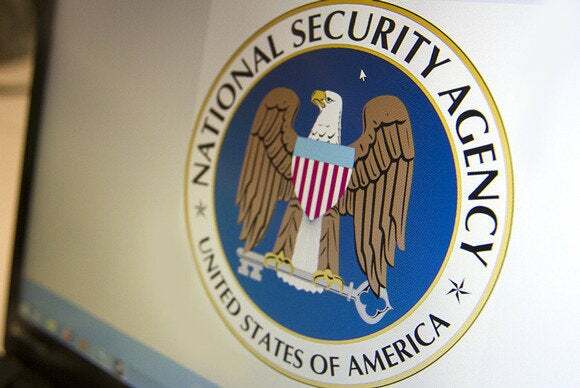 The change is being made partly because of indications that the U.S.-based carrier is required to do certain things for the NSA, a German Interior Minister spokesman said, according to the Associated Press. “Verizon Germany is a German company and we comply with German law,” said Detlef Eppig, Managing Director of Verizon Germany, in a prepared statement provided by Verizon. The U.S. government cannot access Verizon customer information stored outside the U.S., he said, pointing to a Jan. 24 Verizon blog entry. Last month, Cisco Systems CEO John Chambers told President Barack Obama that reports of the NSA putting surveillance tools in U.S.-made networking gear could hurt sales. Microsoft, Hewlett-Packard and other companies have also warned spying jitters could slow the uptake of new technologies such as cloud computing. The revelations are making some enterprises more careful about cloud deployments but hasn’t deterred them from taking that path, CIOs said earlier this year.